Iceland is hot. Not literally hot (the average temperature in July is only 50–55 °F), but a hot travel destination for Americans. Almost one-third of all visitors to Iceland are from the U.S., which isn’t surprising because the country is smallish (about the size of New England) and easy to maneuver, and the flight is short (only 5 hours from Boston). Watch two movies and eat a snack and you’re there. Of course, a short flight isn’t the only reason to visit Iceland. 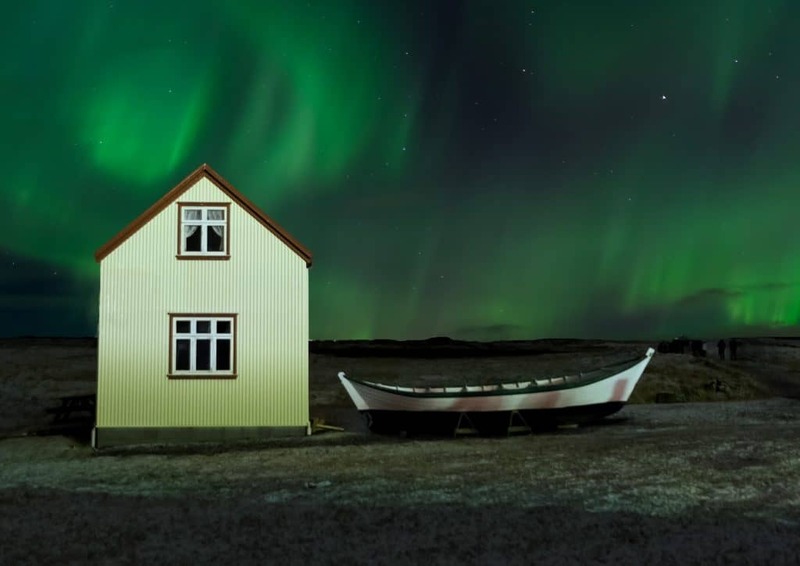 The country is a natural wonderland and the otherworldly landscapes, friendly people, and Aurora Borealis make Iceland high on the “must see” list. If you’re considering a trip to this Nordic country, but don’t know where to start, here are nine things to do in Iceland to get you started. There are many tours available that allow you to see whales and puffins. Take a trip with a trained Naturalist and experience rare sightings and exceptional moments that will leave you in awe. It is best to whale watch in the summer months, preferably April through September. 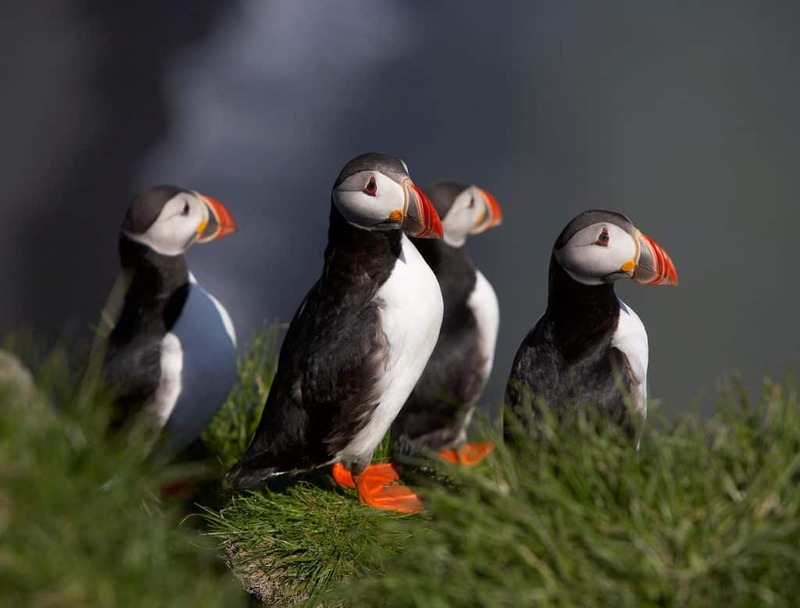 Puffins are around all the time. This mineral-rich attraction is minutes from the Keflavik International airport. There are many spa options available due to the geothermic forces and many natural elements. The lagoon is man-made and renewed every two days with fresh water. Some people think this spot is too crowded, but it’s a nice stop on your way to the airport. Located in a popular peninsula, the Fjords are breathtaking. You need to plan well and leave time to really explore all this area has to offer, like the Icelandic Sea Monster Museum or the famous Látrabjarg cliff. There is a ton to experience in this mountainous remote area and plenty to keep you busy while you explore. Silfra is an amazing diving spot located in Thingvellir National Park. A crevice between the North American and Eurasian continents, it is the only place in the world where you can dive between two constantly moving tectonic plates (roughly 2 cm every year). The shifting of the earth creates new caverns and tunnels to explore, and there is plenty of wildlife to see on your dive/snorkel. The three main dive sites are; Silfra Hall, Silfra Cathedral and Silfra Lagoon with a maximum depth of about 207 feet. The water is the purest in the world and you can take a sip while you dive. This sight is at the top of many lists, however, you need to know the best time to visit and the best location to view this wonder. Thingvellir is by far the finest area to see this natural light show. Be sure you check the weather so that you have a combination of dark (winter) and partially clear skies. Thingvellir is a national park as well as a historic site, so you can sprinkle in some history with the Northern Lights. You’ll need a 4WD to reach the beautiful landscape of Holuhraun, so be sure you book a reputable tour company with high-quality vehicles equipped to travel on the unique terrain. Holuhraun is the newest formed lava flow from the 2014 volcano eruption (you remember, the one that shut down air travel around the world). If you peer into the rifts of the lava you’ll see beautifully vivid colors and in some spots steam still fills the air. It is a geological wonder to behold, but be careful, stay on the marked paths, and to wear gloves when handling any lava rocks. This beach is gorgeous and an absolute must-see! With its rare black sand and basalt columns, there is much to explore on this volcanic shoreline. The black sand is cooled lava and the sand is more like small stones than sand. White sand and red sand beaches (Westfjords) also exist in Iceland. While on Reynisfjara, visit Gardar a basalt cliff that resembles a staircase to heaven. Shaped like a pyramid it was formed by columnar jointing. There are many basalt columns throughout Iceland, but this is by far the most exceptional. This natural pool is one of the oldest in Iceland and you will surely have a memorable experience when visiting. The water is not that hot because it mixes with colder water, but watch your delicate skin. 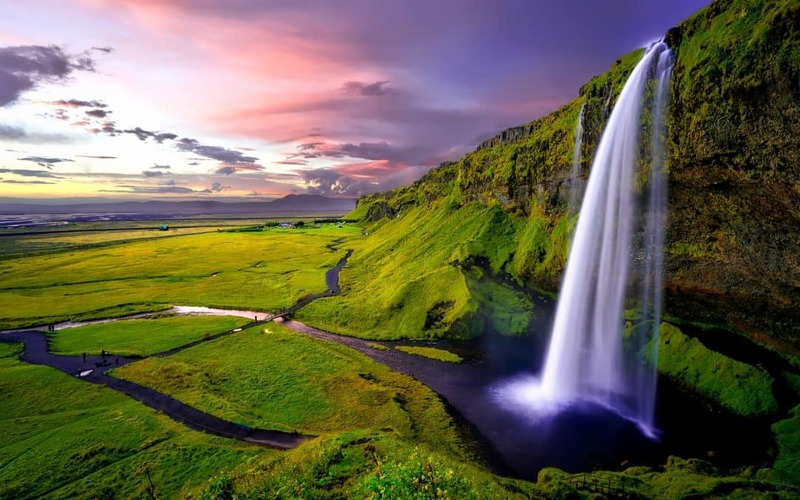 Are you dreaming of a visit to Iceland? I’m here to help you plan the trip of a lifetime. Contact me HERE to get started.